These muffins are so good. 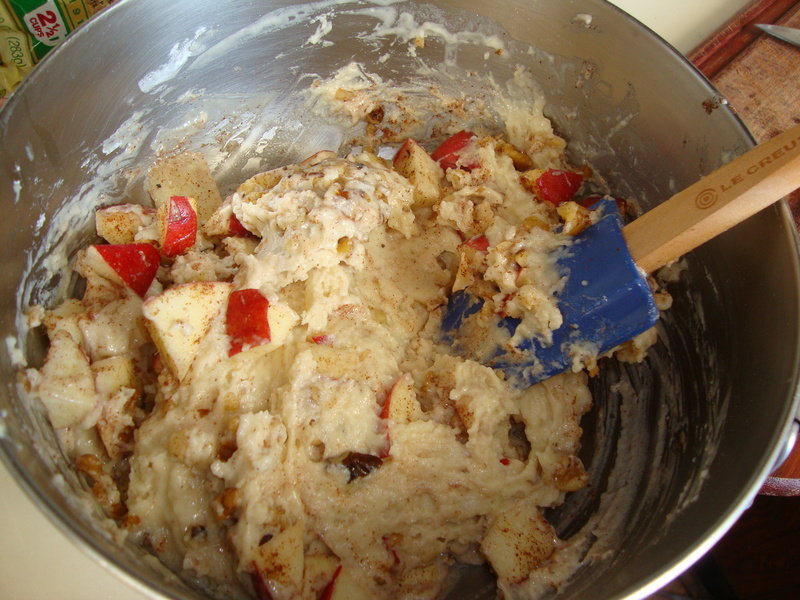 It’s comforting yet the apples and walnuts reduce any sense of guilt. Plus I don’t use butter and I use skim milk. I’m going to try the same recipe with cranberries and white chocolate pieces. 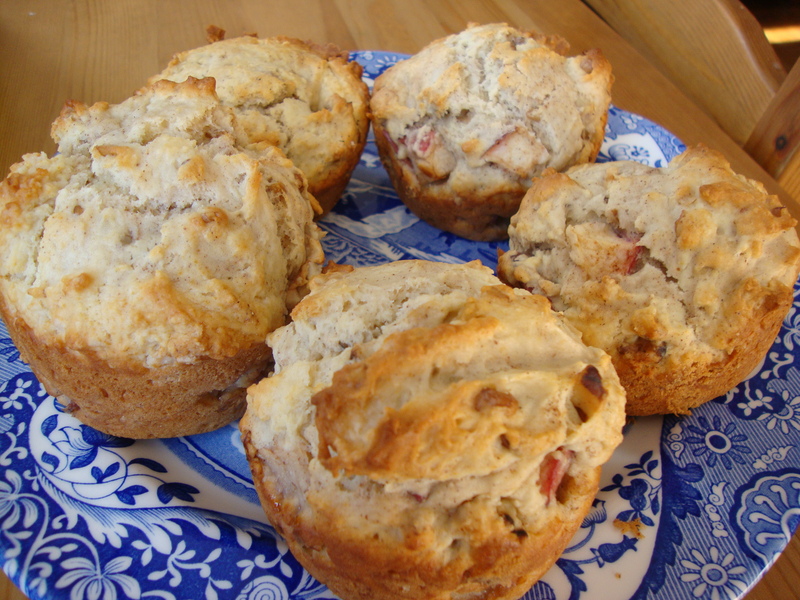 This is my mom’s muffin recipe and I use it for all muffins – chocolate chip often. Also, being a city-dweller, I love that I can make this without needing to take out my mixer or use many appliances at all. I do all my mixing and beating by hand in bowls. Preheat the oven to 400 degrees. Grease muffin cups or use pam spray. Beat the milk, oil, and egg in a large bowl. In a separate, smaller bowl, mix together your dry ingredients (flour, sugar, baking powder, salt). Add these mixed, dry ingredients to your large bowl with the egg, oil and milk. Mix until all the flour is moistened. The batter should be lumpy. Cook 20-25 minutes or until the muffin tops are golden brown. Let them cool a few minutes before removing from the muffin tin.